This summer Countryboy and I traveled to the US to embark on a two week Road Trip out west. It was our first visit to the area and so we didn’t have much time in any one place and especially not in Idaho. Neither of us knew all that much about Idaho so it didn’t play a major role in our trip, but we were amazed by what we did get to see of it. Starting early one Sunday morning we drove up from Salt Lake City, Utah on our way to Jackson Hole, Wyoming. 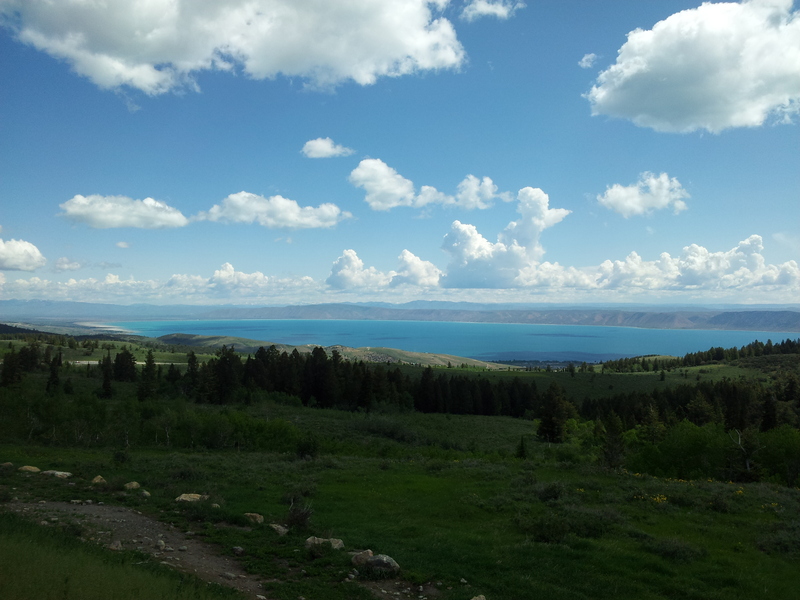 Our first stop was at the Bear Lake Valley overlook and visitors center in Utah. I was in heaven here because it was the first time since Estes National Park, Colorado at the other side of the Rockies, that I had seen any really large body of water that actually looked inviting, despite the cold temperatures. 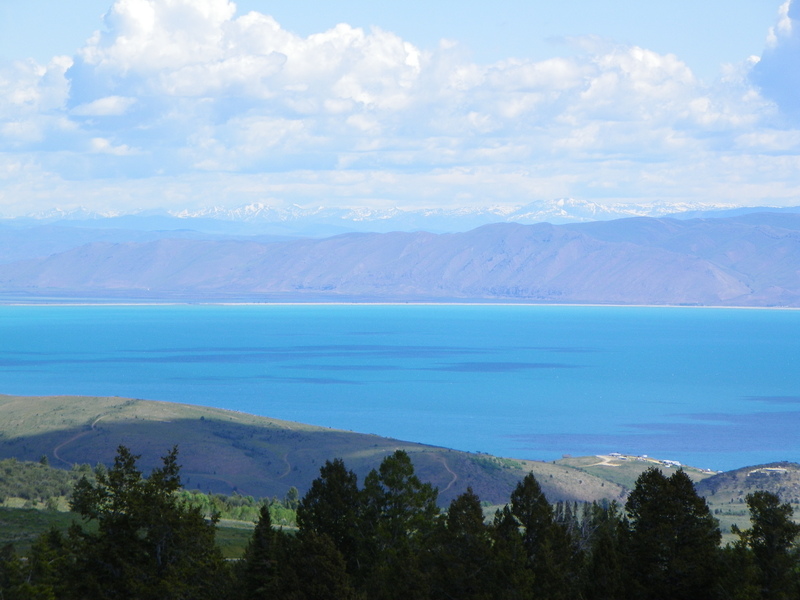 Bear Lake lies right on the border of Idaho and Utah, half in one state, half in the other. It is huge and is known for it’s remarkable ‘Caribbean Blue’ color. We took the I-89 East where we were able to stop at this visitors center and view point gazing down onto the Lake. 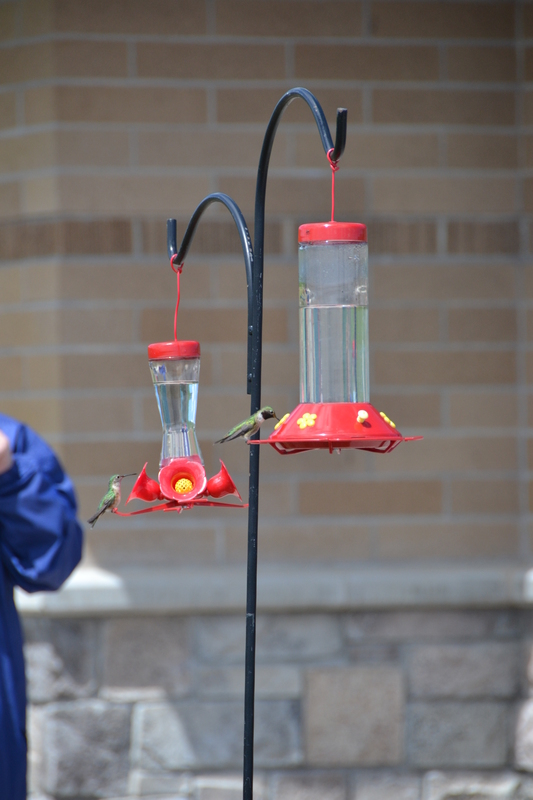 Here we also saw some hummingbirds, something I’ve not seen very often, if at all. I was thrilled by these tiny little colorful balls of feathers. Of course only Countryboy was able to catch these with his fancy lens. The route down to Garden City, Utah and continuing along the I-89 along the lake and over the border, was a breathtaking drive. 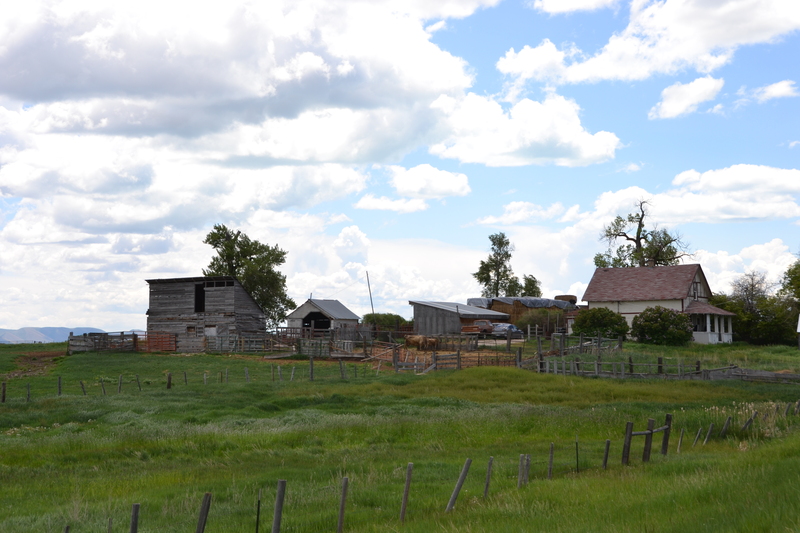 We drove through one cute little town, after another, and passed little farms dotted along the lake. Bear Lake was obviously a popular holiday destination. In fact, until now, I had been convinced that the place I absolutely had to go back to, besides Salt Lake City, was Jackson Hole. But after seeing my photos and especially Countryboy’s, I am reminded of how much it’s peaceful beauty blew me away, and for sure it would take a close second to Salt Lake City! In Montpelier we spotted The National Oregon/California Trail Center before turning back up into the mountains in the direction of Jackson Hole and the Grand Teton National Park. 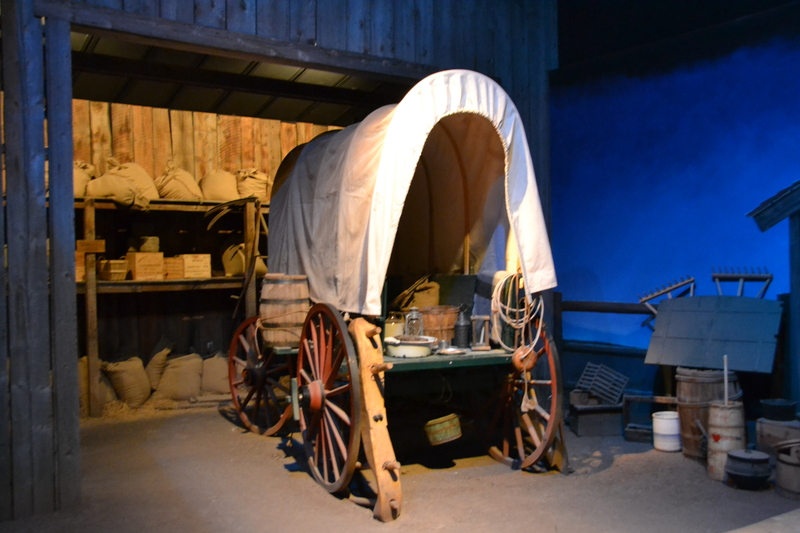 As the Oregon Trail was part of the reason why we decided to come out west, we decided that this was the perfect way of getting to know more about the trail, while at the same time, recharging our batteries. 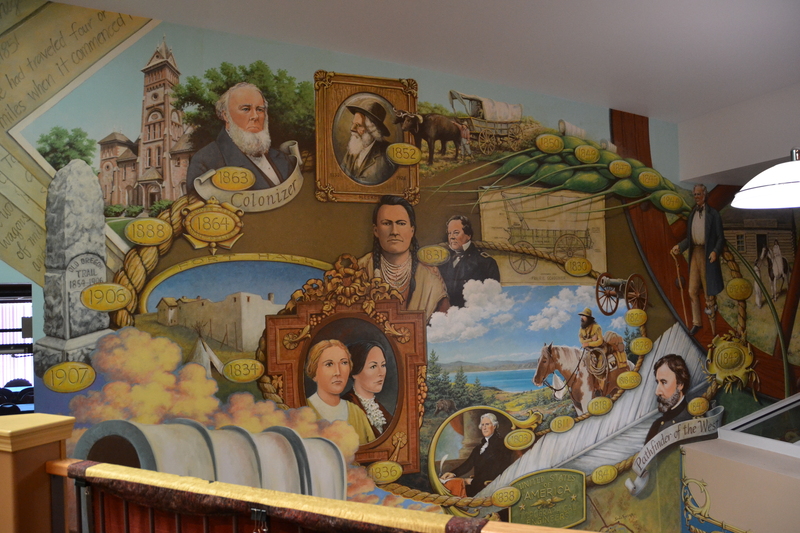 We decided to take the tour of the center which they called ” Travelin’ West” Interpretive Exhibits. I would certainly recommend this tour/exhibit as it really taught us a lot about the whole traveling west experience in an entertaining way. 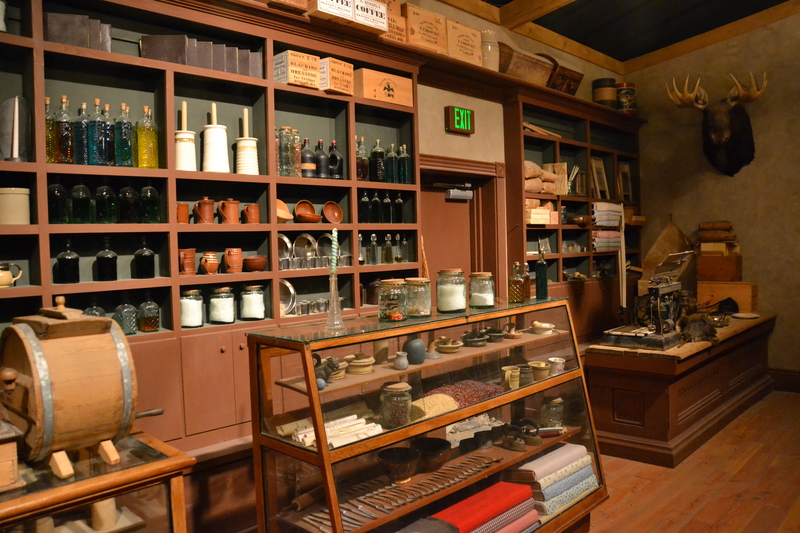 The people who worked there were very helpful and friendly and you could tell they really loved what they were doing. Following the tour we were able to visit a quilt show that was being held upstairs in the center. You can’t imagine how thrilled I was to find out there was a quilt show going on right there. The Quilt Show displayed many local quilts as well as some beautiful antique quilts. Just a peek of one of many beautiful quilts on show. This was an antique one which Countryboy photographed. I will try to share some of those quilts with you, in a separate post, so that this one doesn’t get too long. If you are in the area I would recommend you try to go see it for yourself. 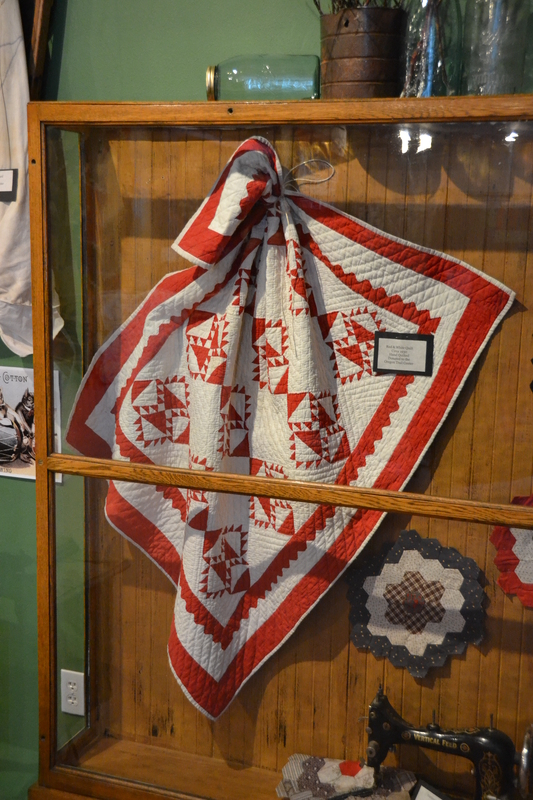 As I said the quilt show is showing at the National Oregon/California Trail Center. It started on May 1st and goes through until October 15th. I hope you enjoyed my post and maybe even found it useful. I hope you return to see my post about the quilt show which I should be posting within the week. Should you have any questions or comments, I would greatly appreciate them. You can leave a comment at the bottom of this post or email me at ebbenflowz@hotmail.com.